PoZersStudio is looking for members to attend their group shoot. It's based around Cricklade, Swindon SN6 6HY, UK Added 1554418387. This event is on Sunday, July 7th. The most spectacular "Alice in Wonderland" photographic event, you will ever get the opportunity to shoot, with 2 amazing models, playing 6 of Wonderland magnificent character's, with stunning Wonderland sets, with the amazing Jessica Taylor & Twinkle Nose will be your duo and the best tea party ever, will be on Sunday July 7th from 12 until 8pm. For those who know me at PoZer's, you will know that the Wonderland story of Alice, and the Wonderland book by Kirsty Mitchell, are my biggest inspirations to me, as a person, a makeup artist, costume designer, stylist, set designer and photographer, so you know, that for me to create such an event in the studio, will be pretty spectacular. Throw all of this passion into the mix, and work with the two phenomenal models, Jess and Hannah, and you will create some magical images with us. 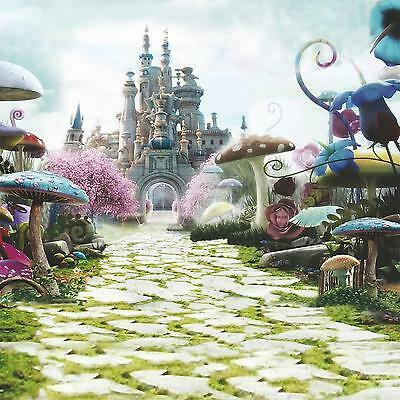 Each and every set, will be made up of official Alice in Wonderland backdrops, or hand styled and created sets, that will reflect this theme throughout. 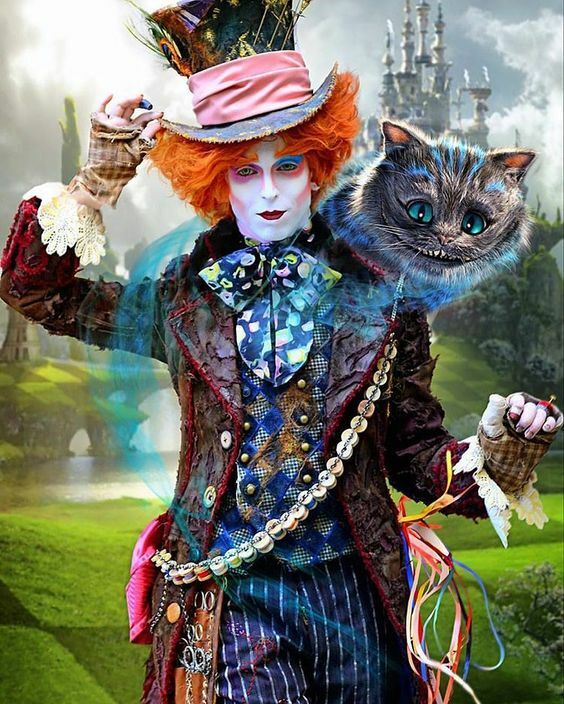 The character's created, will not be identical to the Wonderland films, created by Disney and Tim Burton, my costumes etc. will be far more beautiful, and will distinctively reflect the characters from the story book. As an example of my passion for the story, the gender swop Mad Hatter costume I created, (some of the costume is photographed above, by my friend and fellow amazing photographer, David Sutton, of dasphotouk Dave) took me 4 months to design and create, taking hundreds and hundreds of hours in total, but you won't shoot another costume like this ever, because I didn't use a pattern, the entire costume was designed by me, from start to finish. The other costumes I promise will be as equally beautiful, with a stunning finish on it all, and each costume will portray each character beautifully. 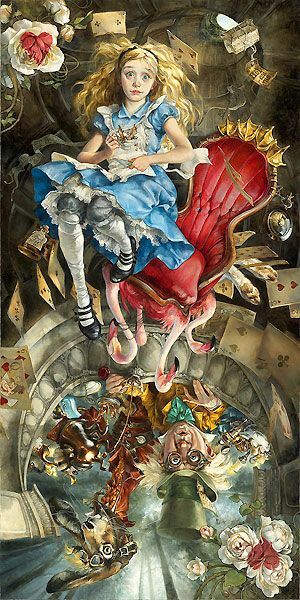 Not only are you invited to shoot the "Maddest tea party ever", you will also become part of the tea party, when your afternoon tea of delightful Alice inspired food things, will be served, so not only can you shoot all about Wonderland, you can eat it all too. We are cramming so many amazing sets, stunning costumes, fabulous props into one event, make sure you have an empty memory card, because there will be hundreds of shots to capture during this event. If the weather remains wonderful, during this day, we will also be taking the story of Wonderland outside, as PoZer's is situated on a farm, with amazing views of the countryside, and a beautifully scenic picnic area, where you can shoot the girls, in their Wonderland costumes. This of course, will only occur if the weather is fine, as the costumes etc. are too fragile to allow to get wet, so fingers crossed the sun shines, the rain stays away, and we get some lovely big clouds to act like a soft box, I will be outside with you, bouncing light around with out giant reflectors. But don't worry if the sun doesn't shine, the sun always shines in the studio itself, and we are also going to be able to bring the great outdoors inside, with a few nice surprises I have for you all. If you are wondering where our inspiration is coming from, here is the link to my Pinterest Board, which will be gradually exploding with images that have inspired me, to create this amazing event, click on this link to be taken to "Alice in Wonderland- PoZer's Event", and fill your mind with ideas and madness, all that you'll find if you attend this amazing event. 12 midday - arrive at PoZer's, meet the other photographers and meet Jessica and Hannah, in their first costumes of the day. Have a nice cup of something hot or cold,and get your camera equipment ready for our first stunning set with the girls. You will all be allocated time with each of the characters, for portrait and full length, for each and every set, ensuring the time you have is quality time, with a lighting technician with you throughout, for each different set up. Everyone get's treated fairly, everyone has the same time to shoot the set, and our group shoot's are renowned for running smoothly, please check our references on our page, to reassure you. 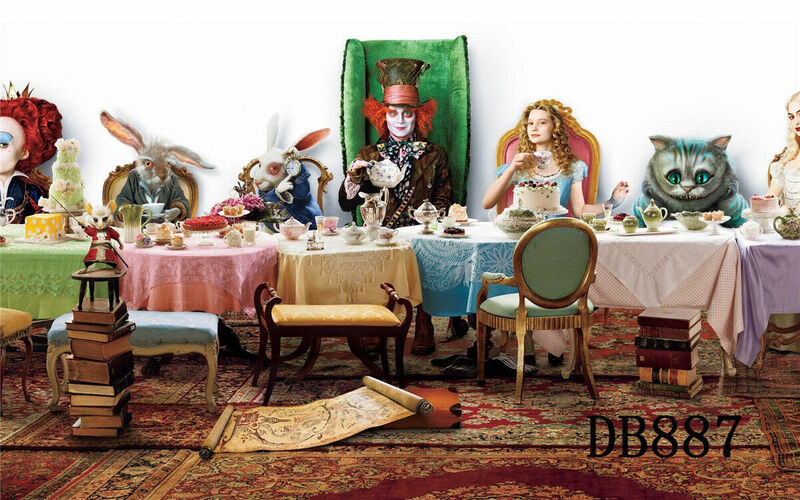 Around 3.30-4pm, we will stop shooting, for our very own "Mad Hatter's afternoon tea party" with delicious nibbles, naughty cakes, refreshing drinks, delightful snacks etc. 4.45-5pm weather allowing, we will go into the farm and photograph the girls having a tea party outside, which will be set up whilst you are having your tea party. If the weather let's us down,please don't worry, we will have the tea party set up beautifully in the studio, with a stunning backdrop etc. These are just a few ideas of the sets,we hope to create with you, plus we are creating our own beautiful sets too, plus, fingers crossed, we will be shooting outside too, amongst the beautiful Wiltshire countryside. So my lovelies, now we get down to the reality part, the money.... Each place is priced at £250 and I appreciate that this is more than my usual events, but please understand that there are endless sets, amazing props, delicious afternoon tea, 6 intricate and amazing costumes, completely unique, one off designs, endless accessories and the most fun you will ever have on a shoot, this is going to be my biggest event to date, and the most work I will have ever put into an event, already been months of planning and costume designing etc. You also have 2 amazing models, Jessica Taylor and Twinkle Nose (Hannah Aisling) , the most perfect models for this genre, you really are having first class experience, and we look forward to seeing you at PoZer's. As so much has to be purchased in advance, we require a 50% booking fee of £125, payable by bank transfer, cash, cheque (PayPal if none of the other methods work for you, sent by Friends & Family or there will be a charge for this service). The following £125, payable by the 7th June, one month before the event. Existing client's may pay in instalments, agreed by circumstances and at the managers discretion. If Jessica, Hannah or PoZer's cancels the event, then your money will be refunded in full, if you cancel, your money will only be refunded, if we find a new replacement for you, by the time of the event, and if no one is found at all, you will be expected to pay for the full event price. The event is kept down to 6 photographers to give you quality time, if 1 person pulls out, this has a damaging effect on the models income, the making of the costumes, the hire of props etc, so please, please only book if you are 100% sure, that Sunday 7th July is a date you can commit to, once signed up, your committed to our Wonderland event. If you have any questions, please don't hesitate to ask, we would love to hear from you. If you have any special dietary requirements, please divulge these in detail to me, and we will ensure they are met, there will be no additional fee for additional dietary requirements. Thank you so much for taking your time to read about our phenomenal event, there will be a Facebook event on our studio page, in the next week or so, when devised, I will share the link here, as soon as it is up and running. This will have regular costume updates and images etc. and is a great way to stay connected to the event. Many thanks and we look forward to hearing from you,and working with you in 2019, on PoZer's biggest project to date.